Most visitors to Temecula Valley Southern California Wine Country know about the stunning vineyards, exciting gaming scene at Pechanga, artisanal eats and drinks in Old Town, but Temecula Valley’s hidden gems open a wide variety of discovery opportunities to visitors coming to the region. From live entertainment and secret speakeasies to ranch tours, brewery tours, and secret gardens, these hidden gems are ready for visitors to discover. Two hip, new speakeasies can be found in Old Town Temecula, if visitors know where to look. Thompson & Twain is located between Crush & Brew and Espadin, and The Apparition Room is located inside Devilicious Eatery in Old Town. But don’t tell anyone we told you, these Temecula discoveries want to stay exclusive. Visitors to Temecula Valley love sampling the olive oils at Temecula Olive Oil Company in Old Town, but many don’t know that visitors can actually tour the ranch where the olives are pressed, getting an inside look at the process of olive oil making. The tours showcase the growing, harvesting, and hand-pressing of their extra virgin olive oils and includes tasting their olive oils and balsamic vinegars. Temecula Lavender Company also offers tours during the short window of harvest time, usually during the month of June. Walking tours through the gardens include demonstration of extracting oils as well as a tasting of delicious lavender lemonade and lavender cookies. 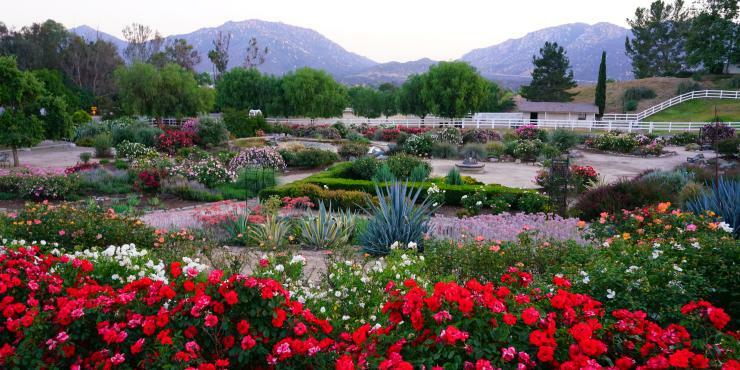 Spring is a beautiful time to visit Temecula Valley’s Heritage Rose Garden. Home to more than 1600 roses, including hybrid teas, floribundas, climbers, and mini roses, the garden is picture perfect (and especially fragrant) when the blooms begin to arrive. Special events take place on weekends during the bloom season for families and discerning travelers. Temecula Valley Wine Country is creating quite a presence in the state’s wine scene, but many visitors to Temecula Valley don’t know about their craft breweries. Karl Strauss is now offering a daily Brewery Tour that takes visitors into their 7 BBL facility while showcasing the stages of brewing process, history, and equipment. Brewery Tours are also now available in Temecula Valley from local transportation companies including Aall in Limo, Temecula Winery Transportation, Little Bus Tours, and Grapeline. Craft Beer Month features specials and unique offerings during the month of May. The shopping and dining scene in Temecula Valley is epic, but many visitors don’t know much about Vail Headquarters, which has actually been a part of Temecula’s history for more than 100 years. The recently restored historic site features the Little Temecula History Center (fun for learning about the region), live events, farmers market, shopping, and dining experiences. While Temecula Valley’s live entertainment scene is frequently dominated by the big names performing at Pechanga Resort & Casino, a world-class lineup of live performances and events actually take place outside the casino grounds. Temecula Valley Symphony hosts regular concerts and events designed to get patrons laughing, clapping, and interacting with classical and contemporary music. The Barn Stage Company produces world-class musical theater opportunities in an intimate setting. Shakespeare in the Vines produces an annual season of outdoor Shakespeare (and related works) performances every summer in Temecula Valley Wine Country. For details on these hidden gems in Temecula, visit VisitTemeculaValley.com.